Red Little House, a Spanish development team consisting of only seven people, shared some sad news in its latest monthly progress report. Due to financial constraints, they have been forced to close the doors on their studio after working there for two and a half years. However, they are still continuing development of their next game, Fleish & Cherry in Crazy Hotel, from their individual homes. The title has had its share of financial woes since its failed Indiegogo campaign in 2013, only raising €6,693 of its €29,ooo goal, but the team has continued to press on. At this point, they have completed the entire first act of the game as well as the general story and mechanics. Fleish & Cherry in Crazy Hotel is an isometric adventure-puzzle game heavily inspired by 1930’s animation, complete with a fully monochromatic art style. 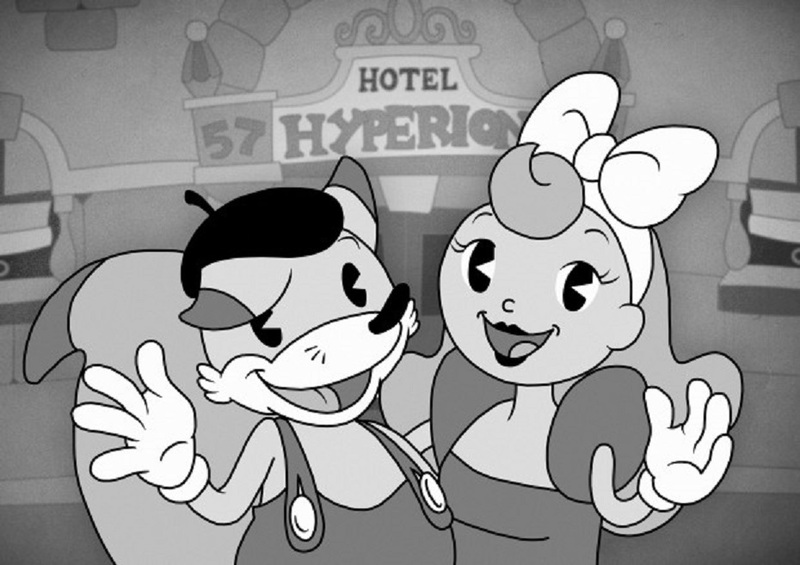 The story centers around Cherry (pictured right) on a quest to rescue her boyfriend Fleish (pictured left and named after the Fleischer Studios that created the Betty Boop and Popeye cartoons) from the villainous Mr. Mintz (possibly named after Charles Mintz who infamously held the rights to Oswald the Lucky Rabbit instead of Walt Disney). While exploring Hotel Hyperion, Cherry will take advantage of cartoon physics to solve puzzles. She can inflate herself like a balloon to travel over gaps and be flattened with an anvil to enter tight spaces. If you want to check out Fleish & Cherry in Crazy Hotel for yourself, you can find downloads for the free alpha demo here. You can also check out Red Little House’s official website here. The game has already been greenlit for release on Steam and the developers hope to have it completed before the end of this year.